Tis now the season for dragon fruit, and what better way to ward off the feeling of gloom with the cold weather by enjoying a tropical fruit! Dragon fruit is a less known superfood with great anti-inflammatory benefit, rich in antioxidants, Vitamin C, B complex, along with iron and calcium. There are two main types of dragon fruit, the white-flesh ones and the red-flesh ones. While the white-flesh are the most common, I prefer the red-flesh kind for the dramatic pink color. Dragon fruits have similar texture to a kiwi, but taste more in between a watermelon and a pear. One way I like to enjoy them is in a chia seed pudding. See my recipe below. Cut the dragon fruit in half, then use a knife to slide off the skin (similar to how you would with a watermelon, except the dragon fruit skin is more delicate). In a medium bowl, gently whisk the soymilk, yogurt, and half of the dragon fruit in a mixer/blender until smooth blended. Pour the yogurt mixture into a cup, then whisk in the chia seeds until they are evenly distributed. Cover and refrigerate x3 hours or overnight. Drizzle 1 teaspoon of agave or honey into the mixture. Add the rest of the cut dragon fruit on top and serve. Optional: you can also toss few granolas or sliced almonds on top before serving. Frying is generally bad for you – example: frying unsaturated oils leads to the production of trans-fats which can contribute to cardiovascular disease, frying carbohydrates leads to the production of acrylamides & glycidamides which are carcinogenic, and frying proteins causes the production of polycyclic aromatic hydrocarbons, which can contribute to cancer and are one of the reasons processed meats are considered a contributor to cancer by the WHO. So why do I suggest frying spices might be a good idea? When spices are slowly cooked in a tempering oil, the aromatic compounds, which are better drawn out by oil as they fat soluble, are released into the oil. When cooking, these aromatic compounds suspended in oil are better able to permeate the dish so that we taste and smell cumin, garlic, ginger, mustard seeds, and curry leaves leading to the sensory experience that is characteristic of Indian food. Why ghee? Ghee has been used in Ayurveda for millenia as a food, a vehicle for herbs (it is a fat so it helps absorption of fat soluble medicinal compounds), and for home remedies. When I was growing up and no one was supposed to eat any fat, everyone stopped putting ghee in their food. I tell my family, friends and patients who are South Asian to continue to cook their spices in ghee and flavor their foods with it. Why? Because I would rather they enjoy half a teaspoon of ghee and to flavor their foods and cut the huge amounts of white rice, white flour, and sugar that South Asians tend to indulge in. Also, ghee is a stable oil with a higher smoke point, and cooking olive oil to high temperatures necessary to cook Indian spices for tempering may not be as safe as unsaturated fats can become harmful when they oxidize, and even become harmful trans fatty acids. The nutritional community has decided for sure that trans-fats are certainly worse than saturated fat. And yes, ghee has saturated fat, but if you plan to put as little as 1 tablespoon of ghee in a large portion of cooked vegetable, then you might as well do things the traditional way, especially if theoretically you are creating harmful trans fats by frying unsaturated olive oil. Ghee is easily available in Indian grocery stores and online nowadays. I am particularly fond of a couple of different brands. Pure brand is a good one, and I recently discovered Eat Good Fat brand ghee. Both are grassfed and organic, and taste really fresh. I tend to trust organic valley and they have started making ghee as well, but I have not tried their ghee. So why make ghee? Because no matter how good the brand you buy, fresh ghee tastes the best. It is also MUCH cheaper to make the ghee than to buy all of the above brands I quoted to you and it lasts a really long time. Below are step by step instructions on how to make ghee with pictures. Enjoy! 3 sticks of butter – I use grassfed butter, preferrably from a farm. Turn the stove to medium, put 3 sticks of butter in a pot and place on the stove. Wait for the butter to melt and then boil. The boiling goes through 2 stages. The first time it boils, you end up with a white precipitate. With the second boiling point, you start to see a film of proteins build up on the top and then the ghee boils again. As soon as the precipitate starts to turn brown, turn off the stove and take the ghee off the stove. When the ghee stops boiling, you will see brown precipitate at the bottom. This is very much edible, but NOT healthy for you – my husband’s family mixes a spoon of sugar with it. It tastes amazingly deliciously unhealthy. Sieve the ghee through a cheese cloth, and its done! I have pictures below for each step. Enjoy! When you stop the stove and the boiling stops, this is what you see! Some caveats: If you have anemia, make sure you are evaluated by a doctor or healthcare professional. If you have moderate to severe anemia, you may need to take iron pills, or you might even need more significant intervention, such as a blood transfusion. This is not a substitute for necessary medical care (as is the case with anything else on this blog). One thing about iron pills is that they are somewhat constipating. This smoothie is quite the opposite. No sense feeling bound up in addition to being sick! This is a great smoothie for those who are anemic or have a tendency for heavy monthly cycles, even if you are already on an iron pill for a short period of time. Blend all ingredients in a blender until smooth. May need to add extra water to achieve desired consistency. Stuffed peppers are a healthy and versatile dish because you can choose to put a variety of ingredients as the “stuffing”. Traditional stuffing is made usually with ground meat, cheese and some veggies but I like to make my own version that is both vegetarian and gluten-free. Another great thing about this stuffed pepper dish is that you can make it either on the stove or in a crockpot. Cook the brown rice either in a rice cooker or on the stove top. Do this few hours early or the night before (you can refrigerate the rice). Cut the tops off the bell pepper and removed all the seeds and ribs. Heat the olive oil in a large skillet, add the onions and carrots. Cook until the onions become translucent. Add the mushrooms, spinach and corn. Cover the skillet and let it cook in low-medium heat until the frozen spinach is melted (~3 min). Remove from heat. In a separate bowl, mix the 2 eggs, then add the mix into the rest of the stuffing. Add chopped parsley, cottage cheese. Blend and season the mix with pepper. Place the stuffed peppers (with the opening facing up) into the crock pot. Using a spoon fill each of the peppers with the “stuffing”. Add the vegetable stock to the base of the crockpot. Avoid adding any liquid to the inside of the pepper. Option: top each of the stuffed peppers with grated parmesean. Cook the stuffed peppers on high heat for 3 hours. Cut the tops off the bell pepper and removed all the seeds and ribs. The split the peppers into half vertically. Heat the olive oil in a large skillet, add the onions and carrots. Cook until the onion becomes translucent. In a separate skillet, add ~1 tbsp of olive oil and place the stuffed peppers the skillet. Let it cook in medium heat ~3 mins. Turn off the stove, and using a spoon fill each of the peppers with the “stuffing”. Add the vegetable stock to the base of the pan. Avoid adding any liquid to the inside of the pepper. Put a lid over the skillet and cook the stuffed peppers on low heat for ~30 minutes or until the liquids are gone. Dango is a traditional Japanese dessert made from rice flour and is similar to mochi in texture and taste. They have a light sweetness to them, making them a good alternative to heavy desserts. 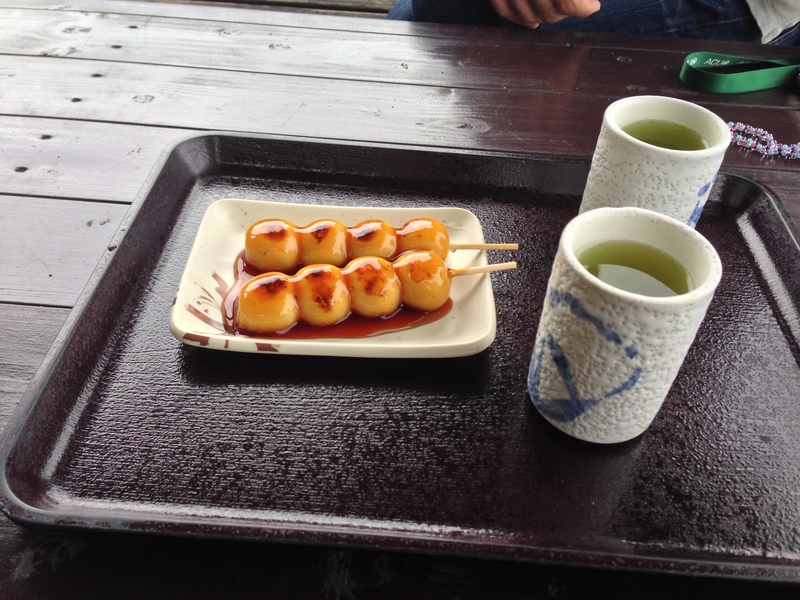 You often see dango served on a skewer with green tea. Mix all the ingredients together in a mixing bowl. Knead the ingredients together with your hand until the dough has a slight elasticity but the surface is not too sticky. After the dough is ready, divide the dough into 8 equal parts. Make each part into a round ball (like a meatball). In a large pot, add 3 cups of water and let it boil. Then, drop the dango balls into the pot of boiling water and let it cook for ~3 min. The dango is ready when they start to float up and takes on a slightly translucent color. Take out the dango and put them in a cool water and let it sit. Mix all the ingredients together in a small sauce pan over low heat. Stir the mixture until it becomes a slight sticky consistency. Pour the syrup sauce over them and they are ready to serve! In India, whistling pressure cookers are the norm. These cookers let out lively whistles when enough pressure builds up through the opening on the top, and one uses a different number of whistles to cook different things. 4-5 for meat, 2-3 for vegetables. An internet search will bring up lots of fun reviews about whistling pressure cookers. 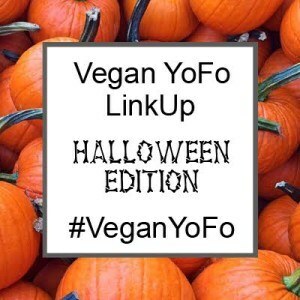 Check out this informative post by missvickie.com. If you want a dish to help you jump into Indian cooking, this is the post you’ve been looking for! I have had to become an expert on quick, comforting, tasty recipes during my residency (Which I am graduating in 2 weeks from by the way – AH!). You can’t beat placing all the ingredients in the pressure cooker, hanging out on the dining table doing some work while the whistles happily increase your anticipation of the upcoming meal, and then adding some spices fried in oil to finish the job. This recipe has creaminess from Indian daal but has some added complexity to its texture from brown-rice and quinoa as well as some of the veggies. You can use any vegetable you want, but I highly recommend you add some kale because the stems add crunchiness. The flavor is enhanced by elements that add tanginess. Tomatoes help with this, but I would also recommend one slice of lemon or a spoon of tamarind concentrate. We try to stay away from dairy on this blog, but a dollop of creamy greek yogurt mixed into a bowl of this baby really takes it up a notch. This is a nice youtube video explaining the process. If you have none of the above, no fear. Cumin alone will suffice to take the dish up a notch. In a separate small frying pan or wok, add 3-4 table-spoons of oil. Preferrably ghee, coconut oil, vegetable oil, sunflower oil, peanut oil or sesame oil. Olive oil has a low smoke point so is not ideal, but I am not going to lie, I use it all the time. Add your tempering spices. When they start to spatter and their fragrance is released as they are cooking, they are ready. If you are using urad daal and chana daal for your spices, they also start to turn a little golden. Add the oil and tempering to the kichdi and mix together. The oil will spatter when it comes into contact with the watery ingredients so keep your head and face far away as you add it. Serve with a dollop of yogurt as an option. Few months ago, I saw an article online about all the different things you can make on a waffle iron. 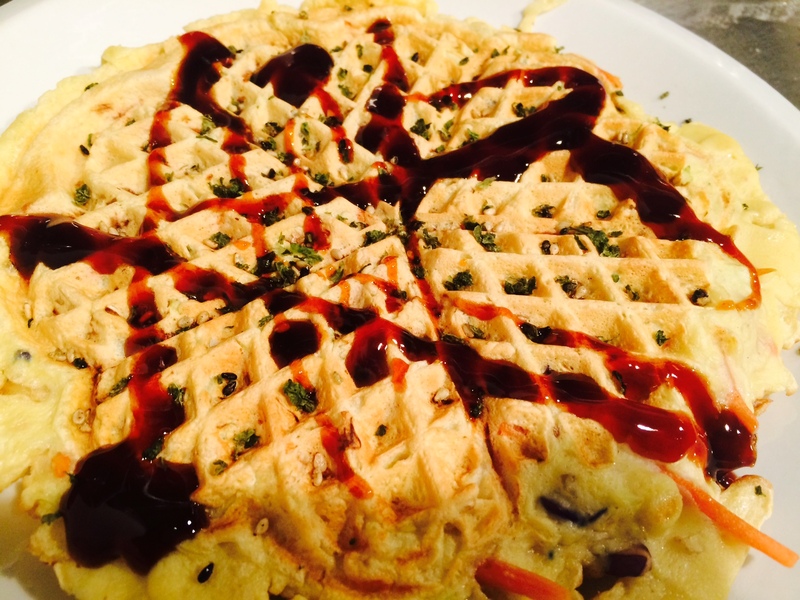 This inspired me to do my own experiment….making okonomiyaki on a waffle iron! 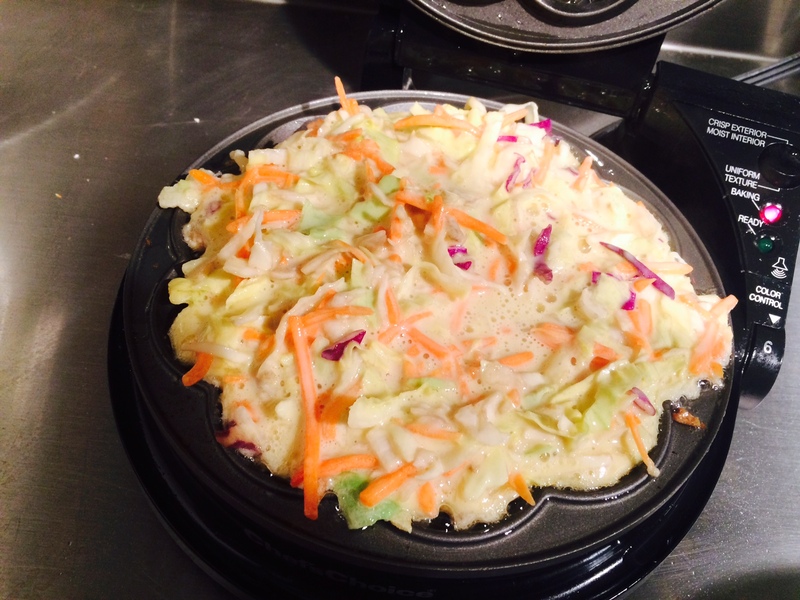 Okonomiyaki is a Japanese savory pancake with veggies- one of my favorite street food as a kid. You can find many okonomiyaki restaurants in Japan, where you get to pick the ingredients that goes into the batter….think of it as a variation from the hibachi restaurants. Traditional okonomiyaki is packed with different types of shredded vegetables along with either seafood (often shrimp or octopus) or bacon. It is a great dish to make at home because you can use a variety of vegetables (i.e. kale, cabbage, squash, carrots, leeks, chives, etc). You can also use the regular cast iron or nonstick pan instead of the waffle iron. 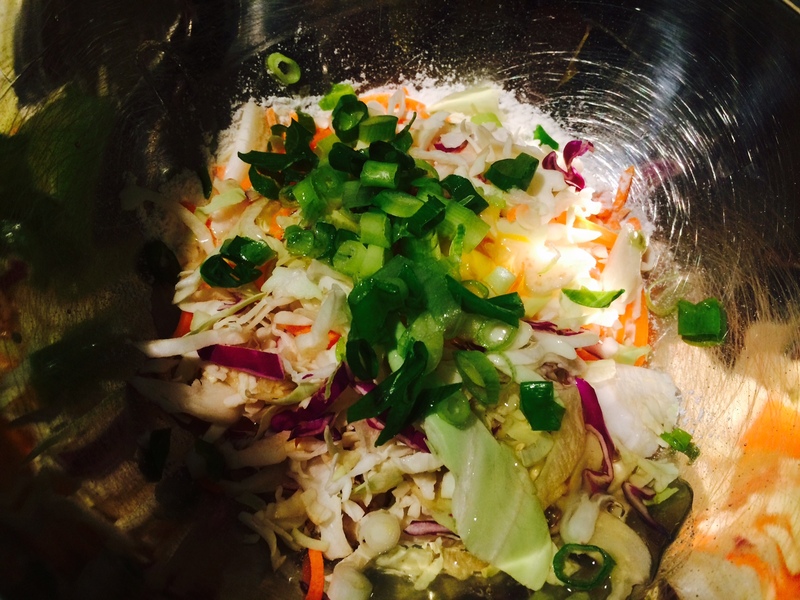 Below is the recipe I used, but feel free to experiment with different vegetables…. Prep the waffle iron. Set it to medium dark, with charred outside and soft inside. Combine all the ingredients (except the mochi) in a large bowl and mix well. Once the waffle iron is ready, spray some oil on the surface, then pour the batter on the waffle iron. If you are using a mochi, place the mochi square on to the waffle iron first, then pour the batter on and around the mochi (you will probably use less of the batter). If you are using the stove, then do the same thing, except you just need to flip the okonomiyaki to cook both sides evenly. Cook until it is slightly browned on the surface. Plate the okonomiyaki, and sprinkle on the seasoning(s) of your choice and serve hot! Winter squash is in season, and I wanted to share a simple and easy way to prepare kabocha. Kabocha is a lower calories version of butternut squash. Its also less sweet and has half the carbohydrates per serving compared to butternut or pumpkin. Kabocha is a great source of beta-carotene (which converts to vitamin A), iron, and B vitamins. It is also high in fiber, and easier to cook compared to a pumpkin or a butternut. You can eat the skin (it softens after cooking), and it cooks faster than many other winter squashes. There are a lot of ways to cook kabocha, you can steam them, bake them and even fry them (very popular vegetable for tempora). I love using kabocha in my curry too, but that will have to be for another post! 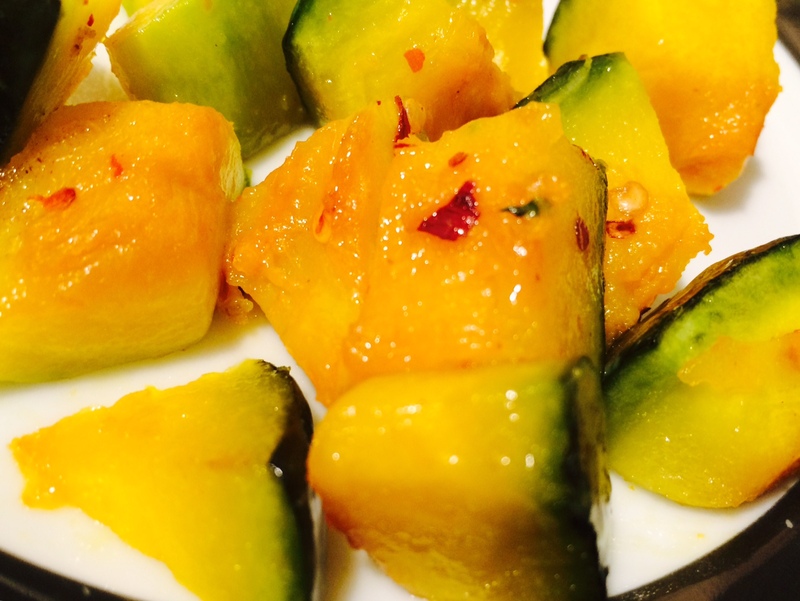 Today, I want to share with you one of my baked Kabocha recipes. It’s super fast! (Optional): boil the whole kabocha in a pot for ~8 minutes, or until you can cut through the center with your knife. -This is not required, b ut I like to boil it for a little to “pre-cook” the kabocha…so that it becomes more moist and spends less time in the oven. Cut kabocha into large cubes (keeping the peel intact), then season it with sea salt, olive oil and red pepper flakes to taste. Place the seasoned kabocha on a large sheet of baking pan. Roast for ~17 minutes. Many factors during residency are out of your control- one of those is night-float. Working during the night, the hormones in your gut get kind of wacky. In particular, ghrelin – a hormone that signals hunger- is not suppressed properly in response to your tummy being full. As a result, I constantly have the munchies during the night-shift. To make matter worse, I had to work nights during the holiday season. There were holiday candies EVERYwhere. Thankfully, I discovered some healthy snacks that helped me get through the holidays without the stress of unmanageable weight-gain. Everyone is different and weight is more complicated than a “one-secret-strategy”, but strategies to consume calories intelligently can be helpful. In another words, eating nutrient dense foods can help curb calorie consumption. Below are 4 snacks that helped me keep the night-time munchies at-bay. Three words – toss the Cheetos. 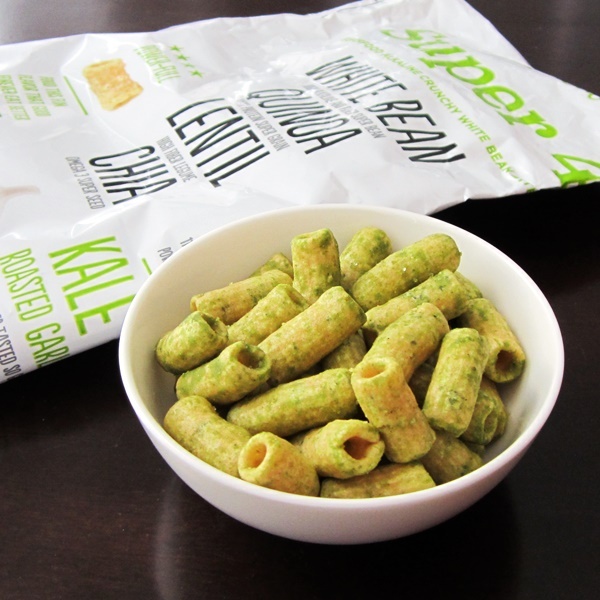 These crunchy and delicious bite-sized snacks are made from white bean, chia, quinoa and lentil flours. The crunchy texture reminds you of corn snacks like Cheetos. The soluble fiber from the chia seeds and the resistant starch from the white-bean flour help to satisfy you and decrease the overall calorie content. The roasted garlic flavor is addicting. Thankfully, you can eat 45 of these little guys for a 110 calorie serving. Now that’s a night-float resident serving! These are similar to popped chips, but are predominantly from black bean flour. Bean flour is great because of previously explained benefits. Keep in mind that some of the flavors are not vegan. My favorite flavor is feta and black olive. Opa! The cheapest place to get these are from the Indian store, but of course the quality-control isn’t as good as foods manufactured in the US. The brand I have been eating is Saffron Road, and they have some fun flavors. My favorite has been Chilli lime. You can also make these in the oven. The good bean is another brand that I like. Literally coconut shavings flavored with sea-salt and vinegar. They are chewy so you take your time eating these. I was first introduced to them at the people’s co-op of San Diego.